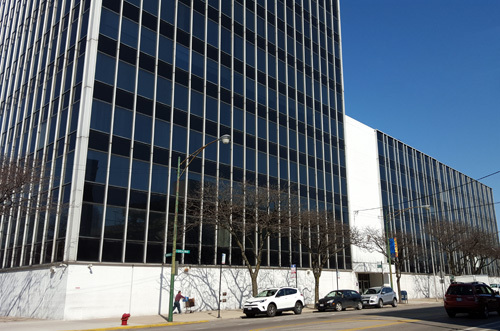 "Last night we held the last of several community meetings to discuss the proposed development of the 5050 N. Broadway building (former Aon Insurance building) and adjacent structures and land. I strongly support this project (a mixed-use retail/multifamily development with 710 rental units, including 107 units that will qualify as affordable housing, as well as a parking garage and attractively designed commercial space), which I believe will be a huge benefit to everyone who works, lives and shops in the Broadway-Argyle area. I commend the developer, Cedar Street, for agreeing to increase the number of affordable housing units to 15 percent from the required 10 percent in order to place this housing within reach of more of our neighbors. Although some in attendance at last night's meeting opposed the project, I believe it will help continue the considerable progress we've made in this part of the 48th Ward. I look forward to working with my colleague Alderman Ameya Pawar (47th) and Cedar Street to move the development forward." Hm. Those quotes about democracy are a little depressing, given that their opinion was basically just overridden. People who were there said that it was made clear it was an "advisory vote" only. Can someone confirm -- is Cedar Street the ONLY developer in Uptown. That seems to be the case whenever I walk by rehabbed buildings, it's all Cedar Street. Glad it is going forward. Most of those opposed are the same vocals that are opposed to any development in Uptown. Nice to see the Aldermen make the right decision. It's the same people who use the homeless under LSD as political pawns. I live in the 48th ward, and have advised Alderman Osterman about my support for the project. These people don't speak for me. I'm sure there are more I've forgotten. Cedar Street is hardly alone in investing in the future of our community. I attended the meeting, and the keep-Uptown-a-slum gang was there in force (sitting toward the back as a group; that tells you something right there). Happy to know this development is going forward. This was the right decision. We need to keep moving Uptown forward!